Ride reunited in 2014 to the utter delight of fans around the world. Their reunion has been triumphantly celebrated by fans (many of them new fans!) and music critics alike. 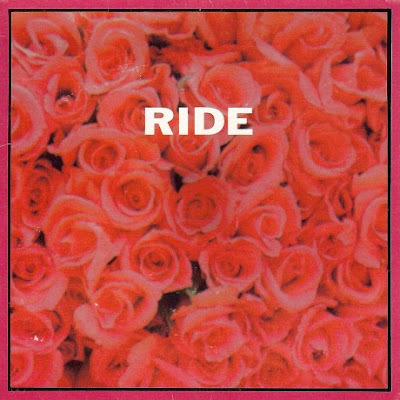 Ride debuted three new songs recently leading fans to assume a new album is on the way, but assume no more: it is confirmed that Ride are currently in the studio working on their first set of new songs since 1996's Tarantula. Photographic proof comes from producer Erol Alkan, who posted a picture of Ride in the studio and revealed he is producing their new album. Ride haven't confirmed a release date for the album, but NME and Pitchfork are reporting/guessing that the album will be released in 2017. "People bought our records first time round but our music has grown in significance since we've been away... We want to give the people what they want. We'd be idiots to go out and play a new album, but that's not to say we wouldn't make new music." "We have to learn the old chords again, but you never know what can happen with these things. I just want to plug an electric guitar in again, I've enjoyed acoustic things and stuff, but I'm greatly inspired to plug in and make noise again."